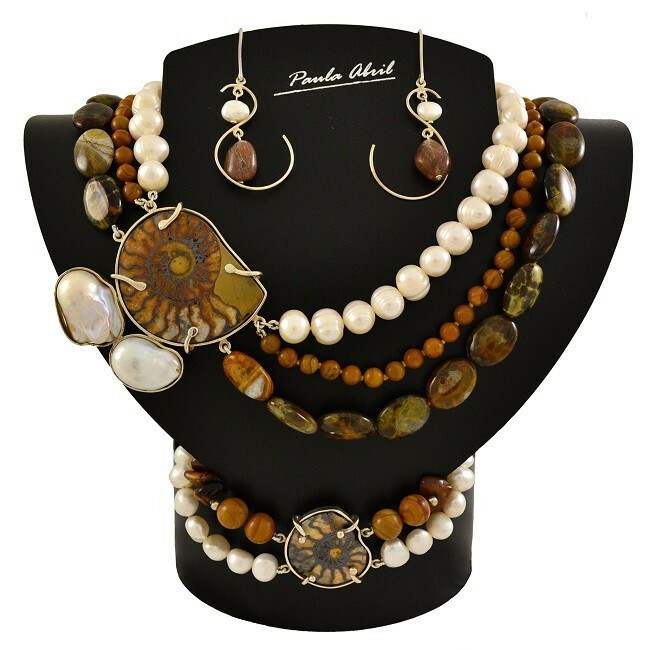 Necklace, earrings and bracelet made of ammonite, jasper, tiger eye, pearl and sterling silver. By the prestigious "Paula Abril", an international benchmark for the quality of its exclusive silver and natural gemstones, selected from the best, making his pieces authentic works of art. Includes Certificate of Authenticity that certifies the use of a 9.25 sterling silver nickel free components. (Sold separately). Select the part you want, necklace, earrings or bracelet to know the unit price).